Click here to claim Perk Browser. Discover a more rewarding web. 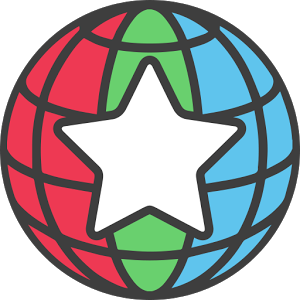 The Perk Web Browser rewards you for doing what you already do online. 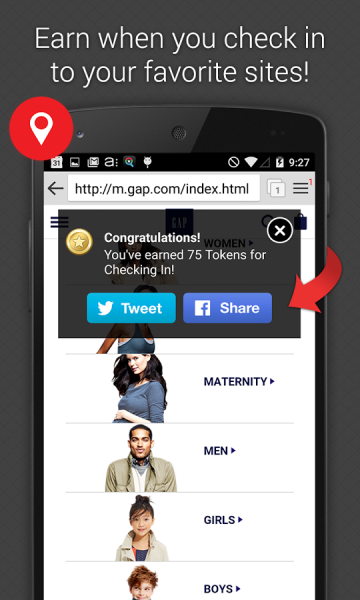 Simply download and use our free browser to earn points when you shop, search, and share stuff with your friends. It's part of the Perk.com Rewards Program! We make it easy to earn and even easier to turn your points into cash, gift cards, airline miles and more. Perk is also super fast, secure, and reliable. Perk is everything you love about the web, plus Awesome. 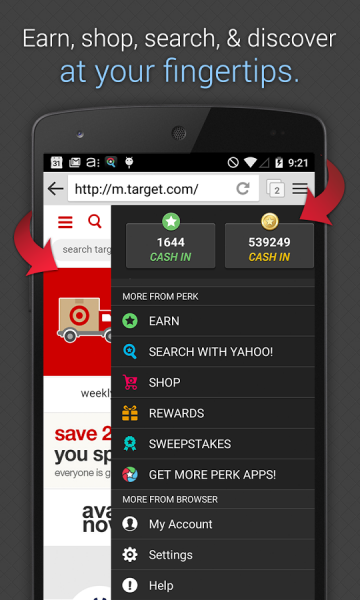 Easily access search, stores, quick ways to earn, and our Perk catalog! Our new tab is designed to be your dashboard into Perk and the world around you. Our shopping tab is basically a robust shopping app built into the browser. 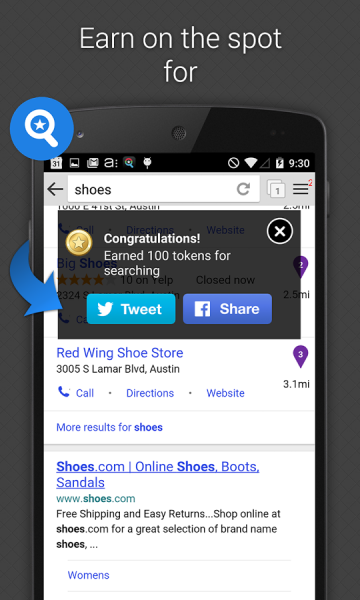 Search stores, find coupons, share deals from over 2,000 stores. Earn points when you shop and get gift cards from your favorite brands. Easily turn on privacy settings to stop storing browser history. 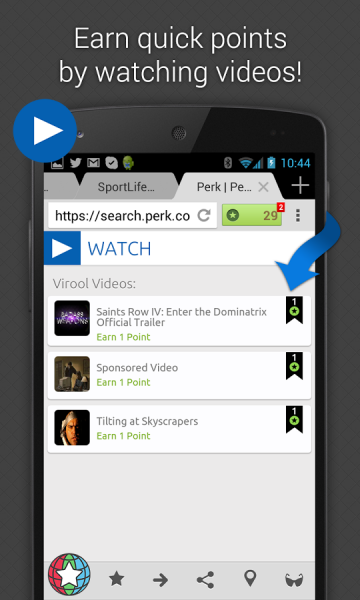 Perk Browser includes Ad and URL filtering technology to block a majority of ad banners. Ad block is turned on by default to clean up your web experience, but you can easily switch it off in settings. 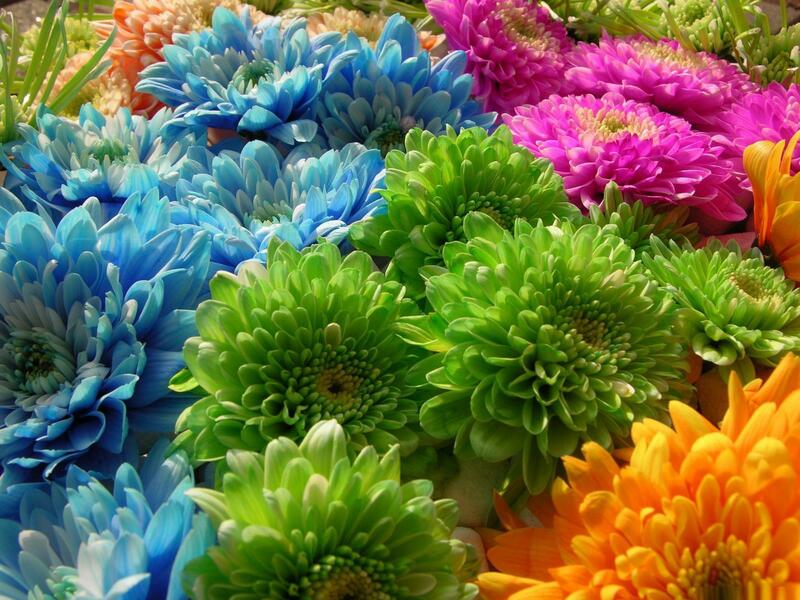 Simply share any page on the web with your friends or network. A built in link shortener is included with other traditional social media programs. Store and organize your favorite sites. Download Perk Browser from these app stores today.